【Large Capacity-7L】With a main pocket, 3 insert pockets and a bottle pocket. Can be used to plant luggage, outdoor products, such as water bottles, maps, food, etc. 【Easy to Install】With velcro quick release design, simple installation and removal. Very strong and durable. 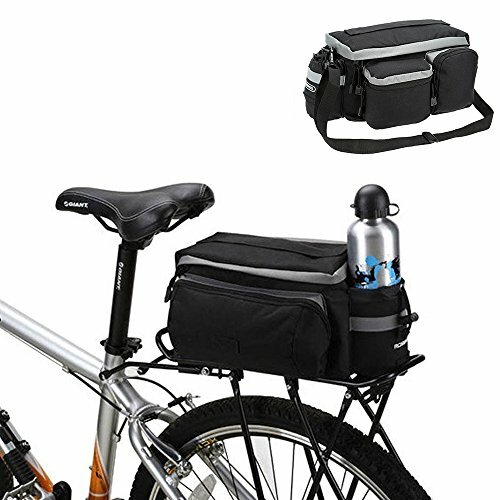 The saet bag is suitable for all kinds of bike models. 【Safe Design】Both sides of bags have reflective tape, this make it safer to riding at night. Meanwhile it uses waterproof polyester material. 【Multiple Functions】-- It can also be used as a regular bag after parking the bike. One can carry it by hand or shoulder due to its multiple functionalities. 【Service】Our seat bags are checked carefully before shipped. If you have any other problems. pls feel free to contact us, we will reply ASAP. My store also have any other bike accessories, hope can help you in some ways. If you have any questions about this product by OnedayshopÂ, contact us by completing and submitting the form below. If you are looking for a specif part number, please include it with your message.